The Ergo Group is a public policy and technology consulting firm based in California with operations in Mexico and Canada. Our clients in Mexico include the Ministry of Foreign Affairs, the Ministry of the Interior, the Ministry of the Economy, the Mexican Agency for International Development as well as the States of Puebla and Querétaro. Andrea is the head of Business Development and Marketing for the Ergo Group. As a public policy entrepreneur, she looks to partner with public, private, and non-for-profit organizations in identifying and fostering technology and data-driven policy projects that strengthen public institutions and their interaction with citizens, and that have a high degree of social impact. 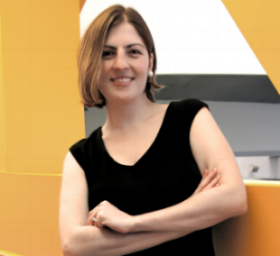 Prior to joining The Ergo Group, Andrea worked in the public sector in both Mexico and the USA, where she focused on institutional and process improvement. She holds a Masters of Science in Public Policy and Management degree from Carnegie Mellon University and a bachelor’s degree in Political Science and Public Administration from Universidad Iberoamericana.